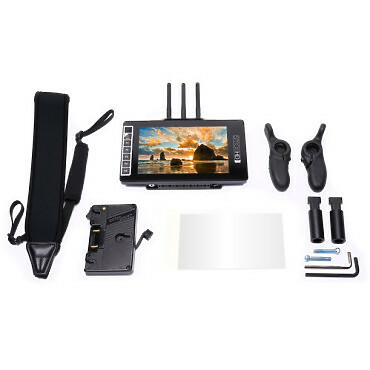 Monitor your camera's feed completely free of wires with the SmallHD 703 Bolt 7" Wireless Director's Monitor Bundle. 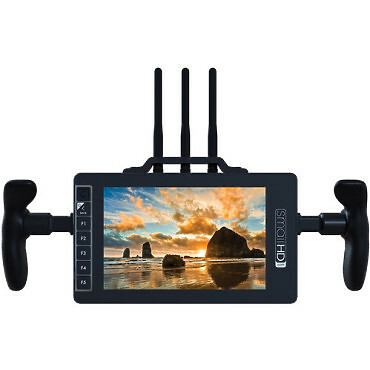 This bundle adds a V-mount plate, side handles, and a neck strap to complement the monitor itself. 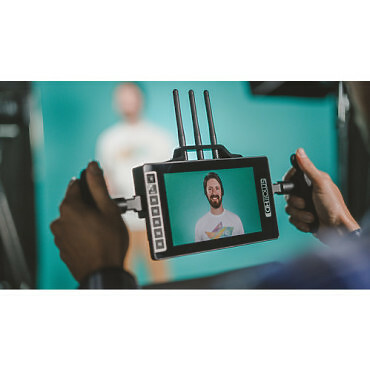 Since the monitor can now operate on battery power from a separately available battery, with a compatible wireless connection, the 703 Bolt can be taken around the set fully untethered. 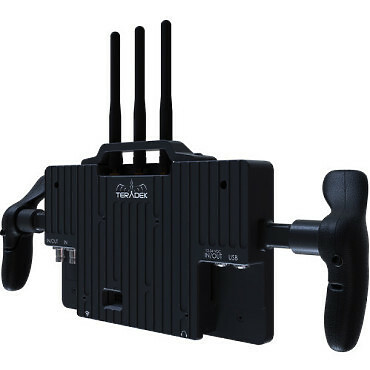 Borrowing the wireless technology from Teradek, the 703 Bolt can receive uncompressed HD wireless signals from Bolt 500, 1000, or 3000 transmitters up to 300' away with no perceptible latency. With this feature, anyone can walk around the set while monitoring a camera feed, perfect for directors and camera assistants. Furthermore, despite the presence of a wireless receiver, the 703 Bolt maintains a slim profile similar to on-camera monitors. A unibody aluminum exterior keeps the monitor durable yet lightweight, while also acting as a heatsink for the internal electronics. The LCD panel itself is protected by a layer of optically-bonded Gorilla Glass, notable for its transparency and toughness. The optical bonding process ensures that blacks are not washed out and reduces the harshness of reflections. On the rear of the display is the SDI I/O. Having dual SDI ports allows for A/B viewing of two different SDI signals, or the secondary port can be assigned as an output for sending an SDI signal downstream to another monitor, switcher, or wireless accessory. All the functionality of the monitor is available via the PageBuilder OS, which provides advanced functionality with a simple and efficient graphical user interface. Box Dimensions (LxWxH) 9.4 x 7.2 x 4.6"